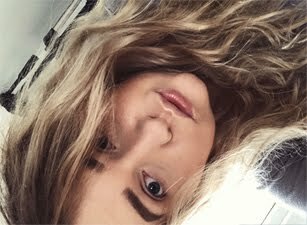 Toni&Guy Casual Sea Salt Texturising Spray: The best sea salt spray I had a chance to use! I love to use it on days when my hair are shapeless and I want to add some texture. Whenever I use this sea salt spray my hair became more wavy and curly, really love that effect. I find most Sea Salt sprays tend to dry out the hair, but this one doesn't. It's also smells really nice. Bumble and Bumble Deeep Hair mask: My favourite hair mask, I love to use it whenever my hair get weak and lifeless. It's brings back the moisture to my hair, makes them a lot softer. L'Oreal Mythic Oil: My all time favourite hair serum/oil. This works so well with my hair and keeps my hair really moisturised. TRESemme Texturising Spray: Such a great hair product! I love to use it when I'm in a rush (every morning) and I just don't have the energy to style my hair. This products adds so much texture to my wavy hair. I really like most products from TRESemme Texture Style range, will be soon reviewing them on my blog. TRESemme Deep Cleansing Shampoo: As I use lot of hair products, I like to deep cleanse my hair. My favourite shampoo to deep cleanse my hair, does the job. It's very affordable and works really well with my sensitive scalps. I went through so many bottles of this product in my lifetime, I think I will forever repurchase it. How do you use your sea salt spray? I have the same one but can't seem to get it work on my hair. Also love the look of the texture spray. Great favourites lovely! I really like tresemme products too! I really want to try more Tresemme styling products. 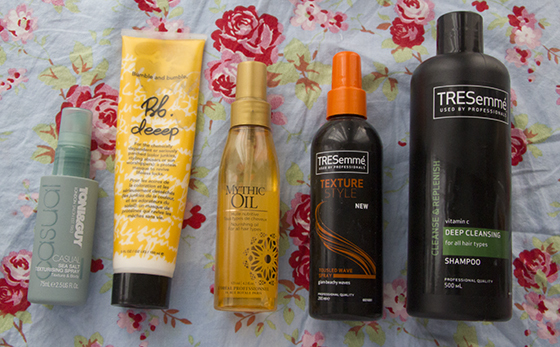 I realised after I wrote my last empties most that after most things I said 'I won't repurchase because I want to try the Tresemme one"
I'm looking to invest more in my haircare; love the look of the Salt Spray and Bb Deep Mask! I have that sea salt spray and haven't even used it yet, will definitely use it asap now though. I love bumble and bumble products, that mask sounds perfect. I've heard quite a few good things about the Toni & Guy Salt Spray, I'm quite tempted to give it a try! I have just started using the Mythic Oil after having an unopened bottle sat on my desk for nearly a year and I wonder why I didn't open it sooner! I love it :) I really want to try the Toni & Guy Salt Spray too.